Investment properties may need frequent repairs to ensure full occupancy and to create a positive reputation among tenants and consumers. 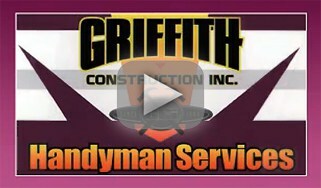 At Griffith Construction, we can provide you with tile replacement and repair services that can keep bathrooms and kitchens looking their best. 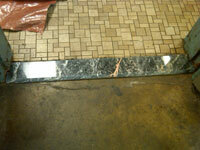 In the office environment, we can create beautiful and durable flooring and elegant breakrooms and bathrooms. If the tiles in your facility are damaged or discolored, you may need professional grout replacement, recoloring or deep cleaning services that can restore the beauty of these installations. 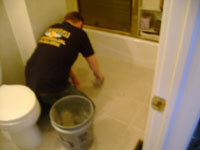 We can perform expert color and tile matching services to provide you with the most beautiful results possible. This can help you make a positive impression on your staff members, vendors and guests to your facilities or retail outlets. Our prompt and courteous service can even enhance the satisfaction of your tenants. We can also install all types of linoleum and tile flooring to create a fresh, beautiful new look for every area of your facility, office space or retail establishment. These easy-care solutions can help you manage maintenance more easily and can ensure greater safety in all your commercial properties. To learn more about our full line of tile installation and repair services, call Griffith Construction today at 201-493-9999 or 973-831-6102. We will work with you to provide affordable and practical solutions for all your commercial maintenance needs.